Silver medalist and laureate of the Krystian Zimerman award of the best sonata at the International Chopin Piano Competition in 2015, Charles Richard-Hamelin stands out as one of the most important pianists of his generation. Also winning second prize at the Montreal International Musical Competition and third prize and special award for the best performance of a Beethoven sonata at the Seoul International Music Competition in South Korea, Charles was recently awarded the Order of Arts and Letters of Quebec, and the prestigious Career Development Award offered by the Women’s Musical Club of Toronto. I had been waiting for such a performance since the beginning of the Competition. The man is every inch an artist, an extraordinarily mature musician who focuses on the beauty of Chopin’s works, which he performs with a high degree of consciousness. He is one of the few who can find a wise balance between the spirit of Chopin and his own individuality, which he demonstrated, for instance, in his masterful interpretation of the Ballade in A-flat major. He has appeared in various prestigious festivals including La Roque d’Anthéron in France, the Prague Spring Festival, the “Chopin and his Europe” Festival in Warsaw and the Lanaudière Festival in Canada. As a soloist, he has performed with various ensembles including the Montreal Symphony Orchestra, Toronto Symphony Orchestra, Singapour Symphony Orchestra, Hiroshima Symphony Orchestra, Warsaw Philharmonic, Quebec Symphony Orchestra, OFUNAM (Mexico City), Orchestre Métropolitain, National Arts Center Orchestra, Edmonton Symphony Orchestra, Calgary Philharmonic Orchestra, Violons du Roy, I Musici de Montréal, Sinfonia Varsovia and the Poznań Philharmonic. Originally from Lanaudière in Québec, Charles studied with Paul Surdulescu, Sara Laimon, Boris Berman and André Laplante. He obtained a bachelor’s degree in performance from McGill University in 2011 and a master’s degree from the Yale School of Music in 2013 and received full scholarships in both institutions. 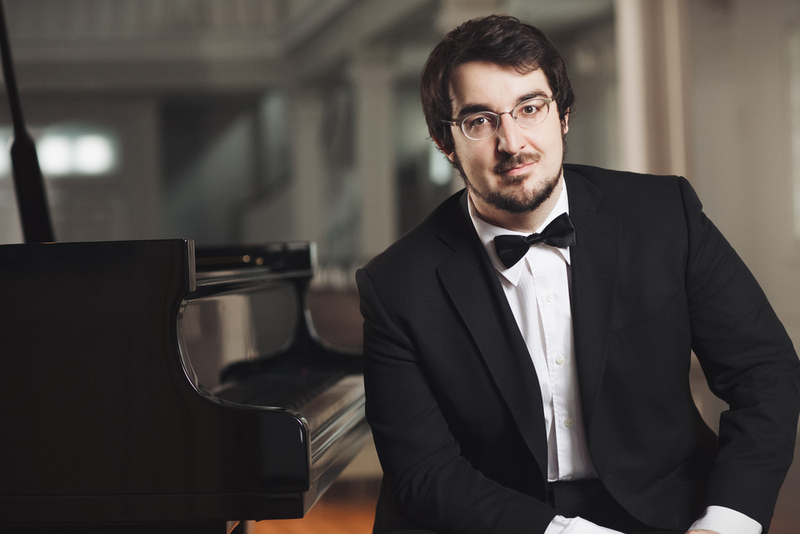 He also completed an Artist Diploma program at the Conservatoire de Musique de Montréal in 2016 and currently works on a regular basis with pianist Jean Saulnier. Charles Richard-Hamelin’s first solo CD, which features late works by Chopin, was released on the Analekta label in September 2015 and received widespread acclaim from critics throughout the world (Diapason, BBC Music Magazine, Le Devoir). A second album, presenting works of Chopin, Beethoven and Enescu was recorded at the Palais Montcalm in Quebec City and released in September 2016 under the same label. Click on the images/links below to view a couple of short videos of Charles Richard-Hamelin from the 2015 Chopin Competition in Warsaw, Poland.